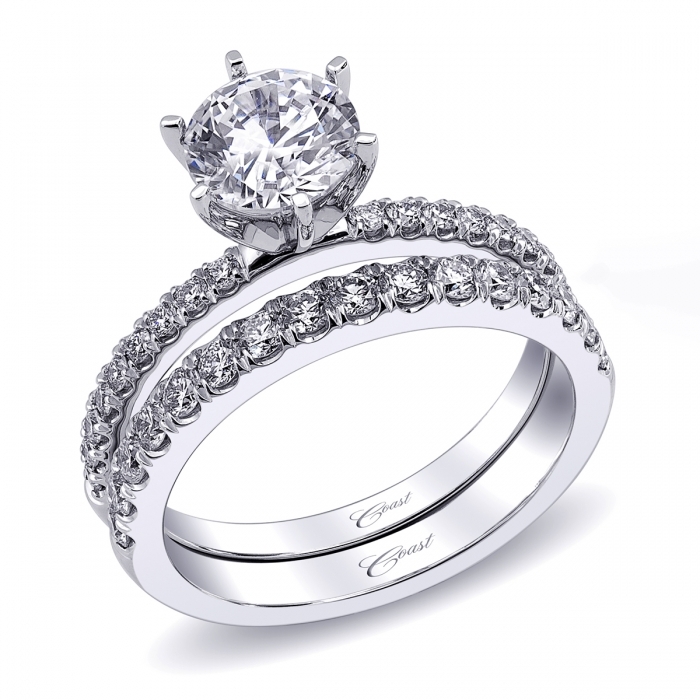 A gorgeous engagement ring with diamonds down the shoulders, and a 6 prong head. Built for a 1 ct round center stone. Band sold separately.